I love this video! It’s really what I want my back yard to look like all summer long! Complete with boat dock, tiki bar on a sandy beach and of course a Jimmy Buffett concert in the back! The Square Grouper is part of Castaways Marina. Alan Jackson is a part time resident on nearby Jupiter Island. Jackson sometimes visits The Square Grouper and knows its owner. Jackson asked to use the bar for his music video because of its beautiful location. The ambiance is tropical, like Holiday Isle in the middle Florida Keys. 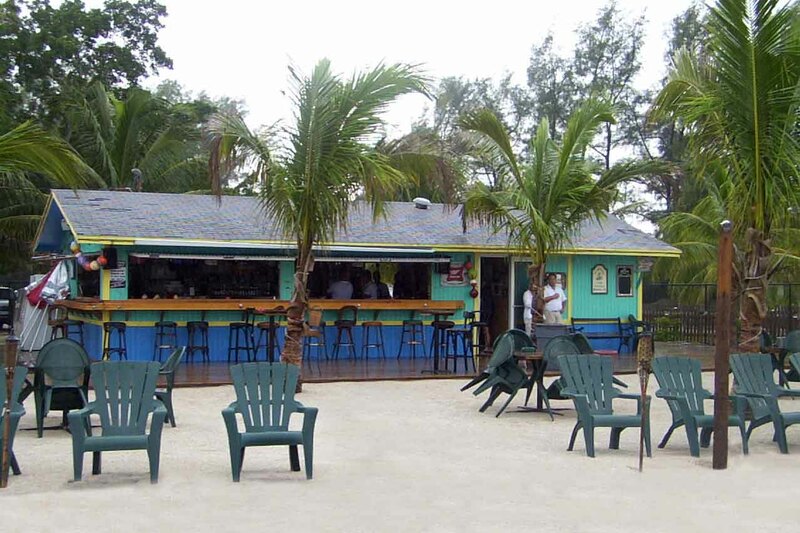 The bar was built as a bait shack in 1970 to serve anglers using the Jupiter Inlet. It was converted to a bar in early 2003. The Square Grouper is accessible by boat or by car. It features a closet door from Alan Jackson’s Jupiter Island home. The bar’s countertops are made from materials salvaged during renovations to Perry Como’s house. Until his death Perry Como lived in nearby Jupiter Inlet Colony. Como’s former house is directly east of the Jupiter Lighthouse. It can be identified by it’s distinctive thatched roof tiki-style shelter/dock just off the Intercoastal Waterway. Read the rest of the article with some pretty cool pics at the Square Grouper Bar at the Castaways Marina website. Alan Jackson with Jimmy Buffett It’s Five O’Clock Somewhere – Greatest Hits, Vol. 2. Between the buoys, I tell you.